← Bay View Gallery Night! Sometimes you see amusing things at the space. Take for instance, this lock on the bathroom stall. The black piece is actually 3D printed. Yes, someone took the time to measure, and model, and 3D print a rectangular bar to fix the bathroom stall door lock. 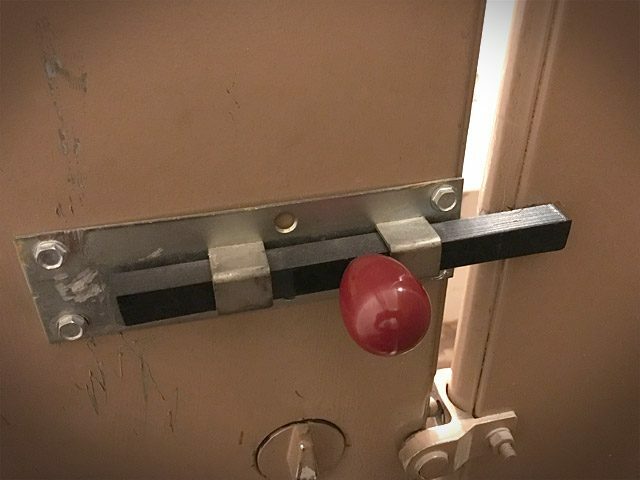 Never mind that a piece of wood, or plastic, or metal could have probably done the job in much less time, sometimes you just need to 3D print a replacement part for a bathroom stall door and you bust out the 3D printer and in a matter of hours you’ve got the part you need!